Inexpensive and Easy Dessert Shortcuts Made With R.M. 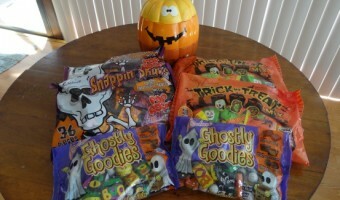 Palmer Halloween Chocolate Candy! 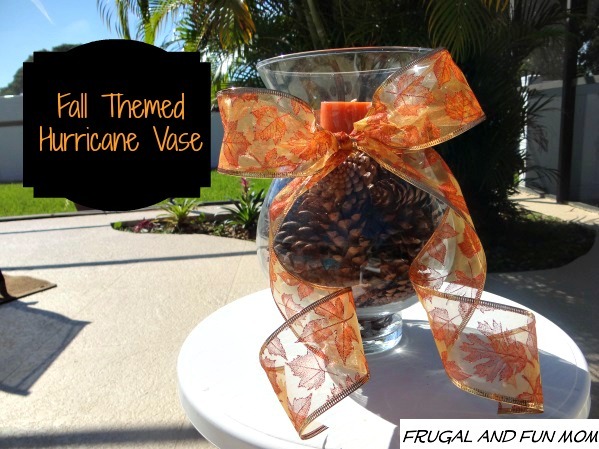 Transforming A Hurricane Vase Into A Fall Decoration! An Easy and Frugal Craft! 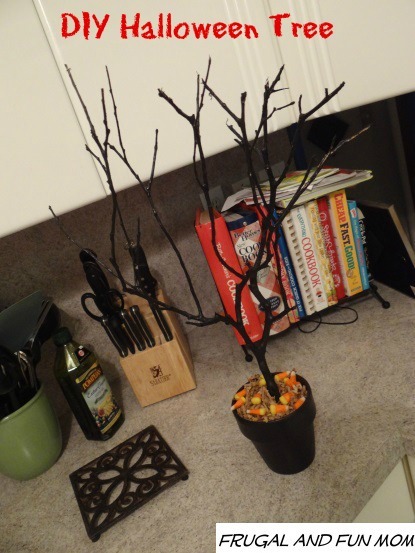 DIY Spooky and Fun Halloween Tree! Household Items and Paint Used To Create This Craft! 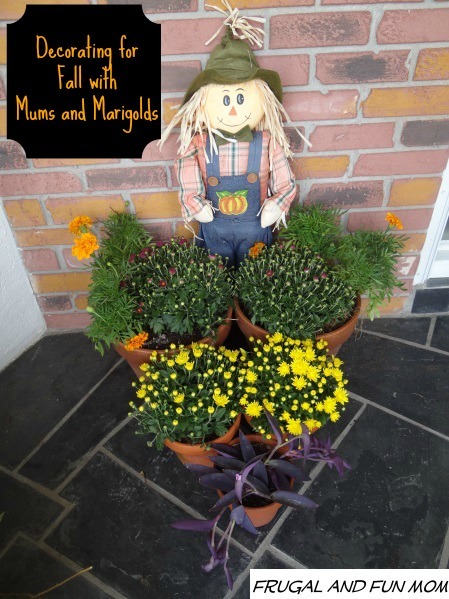 Decorating for Fall with Mums and Marigolds! Front Door Display With Terracotta Pots! 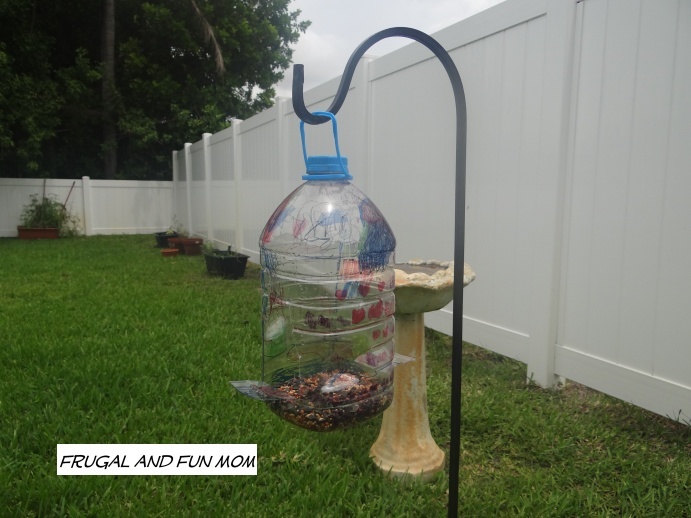 Homemade Bird Feeder with a Hawaiian Punch Jug! Easy DIY Children’s Craft!